Your operation is down. You need a qualified professional on the spot to repair your heat exchanger. Who do you call? 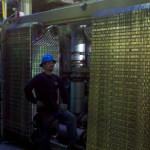 MechPro Inc. has the experience and capabilities to handle any heat exchanger problem. Especially big and dirty jobs. Whether your heat exchanger is on a commercial ship in the Pacific Ocean, part of a utility company’s gas distribution system, or an integral component in the cooling system of America’s largest data centers, or integral to any other critical industrial operation, MechPro Inc. is ready to provide the crisis mitigation you need. MechPro has the equipment and training to identify the problem, find the crack or the failed, leaky gasket, get to it, and replace or repair it on site. MechPro Inc. is the most dependable service provider whether you need service on your Shell and Tube Heat Exchanger or your Plate Heat Exchanger (PHE) aka Plate and Frame Heat Exchanger. MechPro doesn’t just provide complete heat exchanger repair and refurbishment services but also supplies replacement gaskets, replacement plates, and all other required parts. 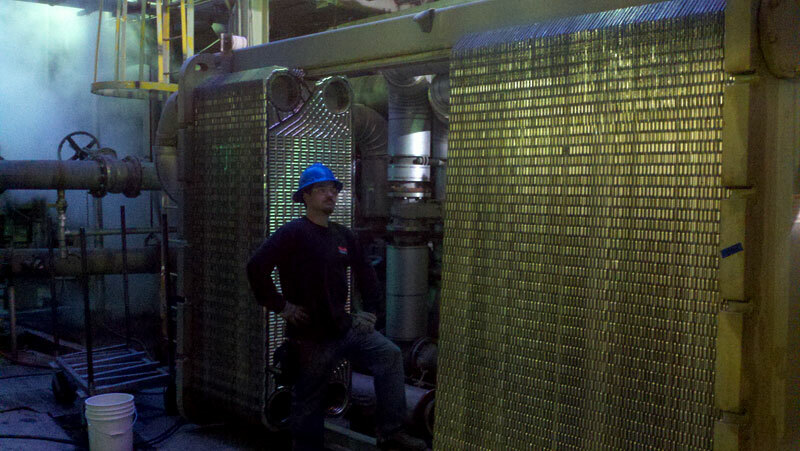 Our team is ready to handle heat exchanger repairs from all manufacturers. 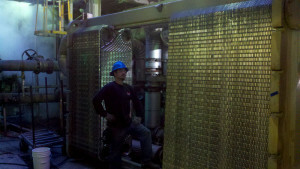 We take pride in the quality of our reconditioning and repair services for your heat exchanger. You’re assured that our service is always the most cost-effective choice or we’ll tell you otherwise after our inspection. It is important that heat exchanger plates be kept in perfect condition to maintain proper temperature drops and pressure differentials. MechPro Inc. highly recommends that all heat exchangers are scheduled for preventative maintenance due to normal wear and tear from regular use, cleaning and inspections. MechPro Inc. is available to provide PHE preventative maintenance. We offer on-site plate heat exchanger repair, 24/7 on-call service, complete refurbishment, cleaning, hydro testing, black light testing and re-gasketing services.